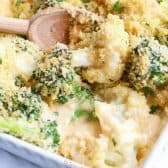 Cheesy Broccoli Cauliflower Casserole is the perfect side dish for any turkey dinner or weeknight meal. 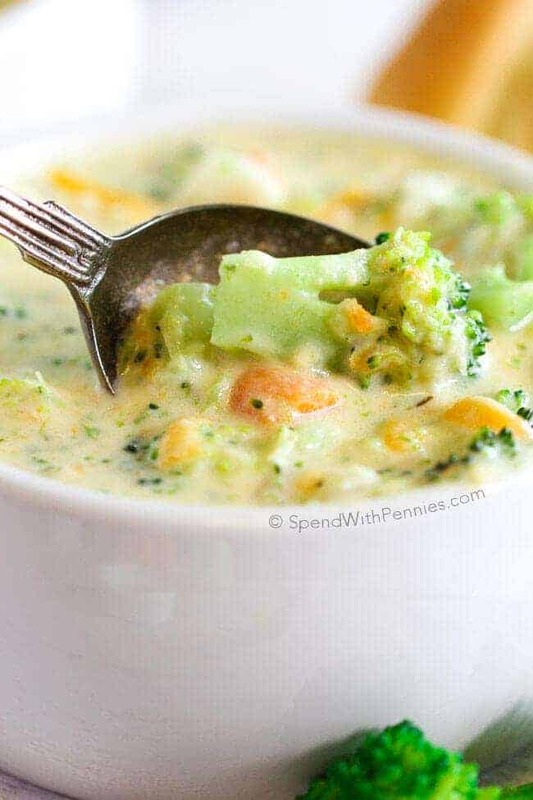 This easy side contains no condensed soup. 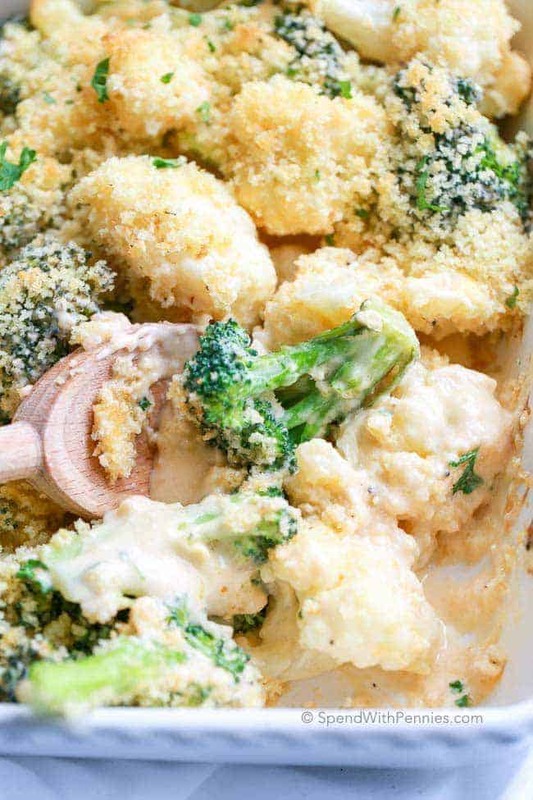 Tender crisp veggies tossed in an easy homemade cheese sauce and topped with a buttery crumb topping. 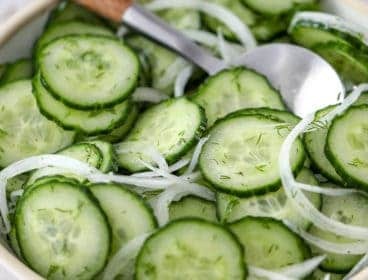 Having 4 kids, it can sometimes tricky to find side dishes that absolutely everyone in the family loves. One kid doesn’t like mushrooms, one doesn’t like peppers, one only wants raw veggies. I certainly won’t cook special dishes for everyone but each kid was allowed one item that they didn’t have to eat. Ever. I mean, everyone has one thing they just don’t like right? 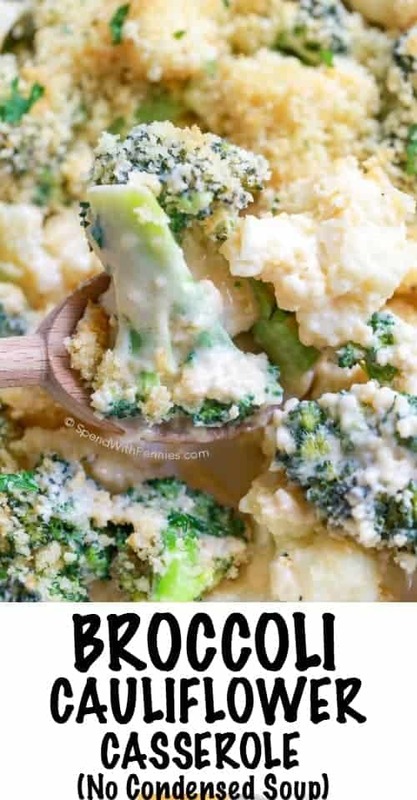 Anyhow, this cheesy Broccoli Cauliflower Casserole is the answer … THIS side dish was one that everyone loved, even my husband and I. 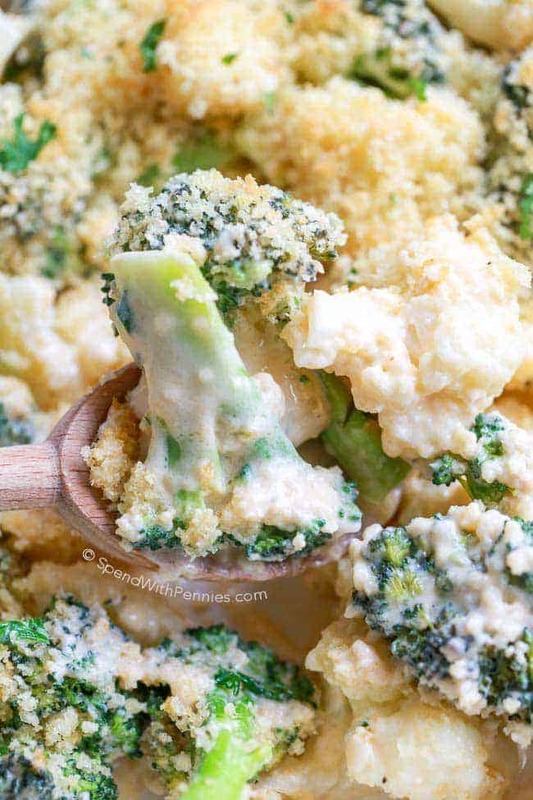 My whole family loves broccoli and cauliflower and of course… the cheese goes without saying! 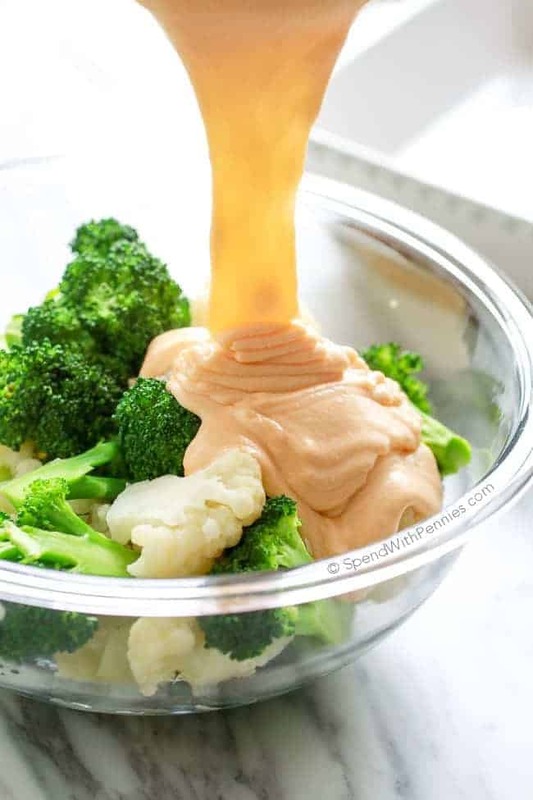 One of the things that I love best about this dish is that the rich and creamy cheese sauce contains no “cream of” anything soup. 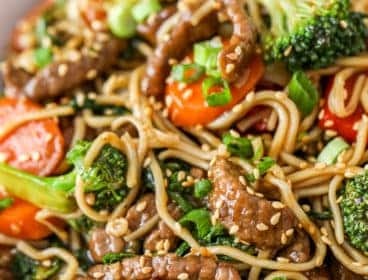 It’s made from scratch in just a matter of minutes and then poured over the veggies and baked. 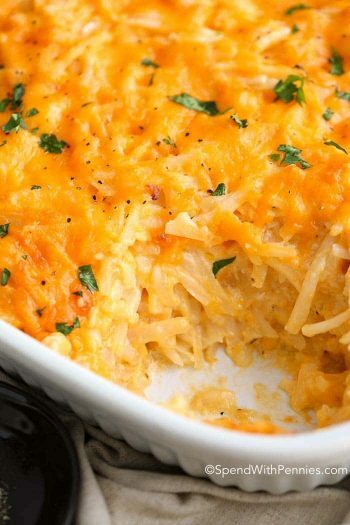 I use a sharp cheddar as I find it adds the most flavor however you can use pretty much any type of cheese you like. I like to add a buttery Panko bread crumb topping but crushed crackers or even chips also make a delicious topping. 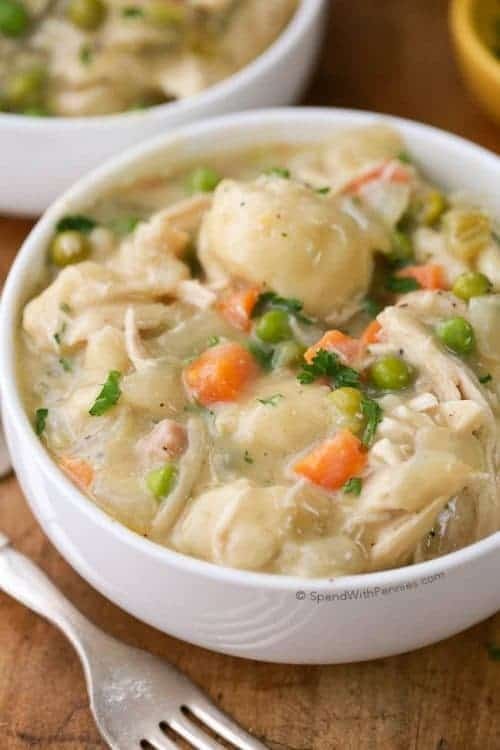 We sometimes add in ham or chicken and you can easily substitute or add in other vegetables depending what you have on hand! 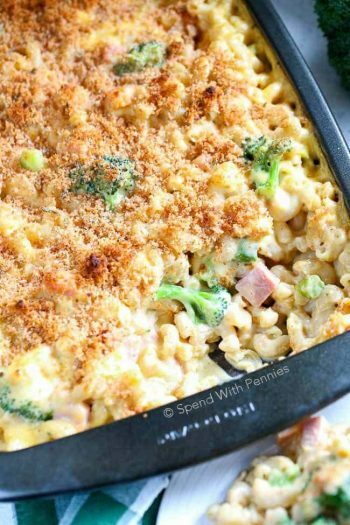 This is the perfect side dish for any dinner and one of our favorites alongside a turkey dinner. 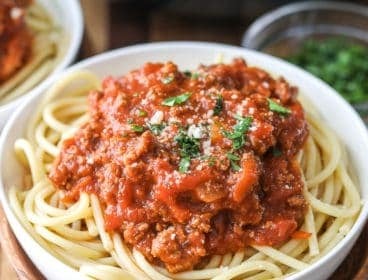 To make this dish ahead of time, prepare as directed up to step 4. 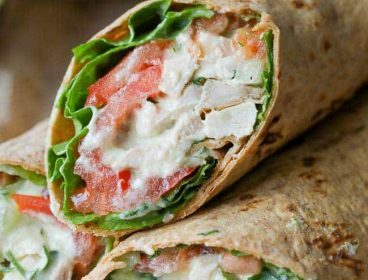 Place the bread crumb mixture in a separate sandwich bag and store everything covered in the refrigerator. 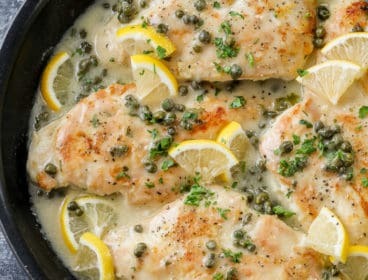 Remove from the refrigerate at least 30 minutes before baking, top with breadcrumbs and bake as directed. Combine 2 tablespoons butter with bread crumbs and set aside. 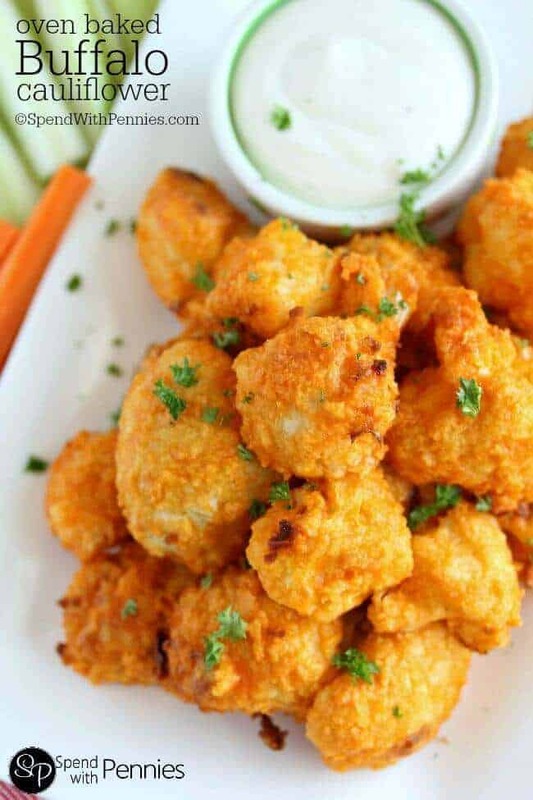 Boil cauliflower in a large pot for 2 minutes. 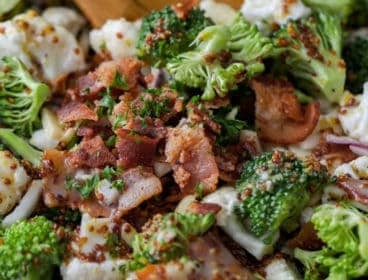 Add in broccoli and cook an additional 2 minutes or until tender crisp. Drain well. In a saucepan, melt 2 tablespoons butter. Add in flour, stirring until smooth. Add milk whisking constantly over medium heat until thick and bubbly. Stir in salt, cream cheese, garlic powder, black pepper and mustard powder until smooth. Add in cheddar cheese. 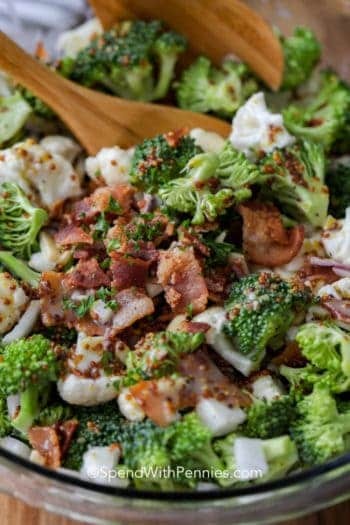 Toss with broccoli and cauliflower. 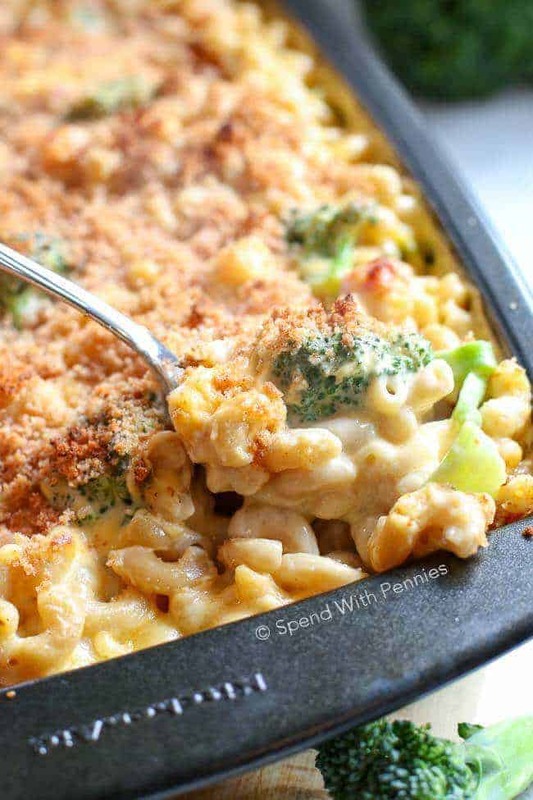 Top with breadcrumbs mixture and bake at 375 degrees for 20-25 minutes or until heated through.